You know what the biggest bummer is about smoking weed everyday? You start to develop an inevitable tolerance over time, which both reduces the effects of the herb on your body/brain, and increases the amount that you need to smoke/vape/consume/etc each time. And lord knows, that stuff aint cheap! But is there any way around this inevitable tolerance buildup? Or is there at least some sort of molecular trickery that we can play in order to maximize the effects of cannabis every time we consume it? In this article, we talk about a few simple little tricks you can employ in order to minimize the tolerance you develop from consuming marijuana on a daily basis. If you’re a part-time smoker, don’t worry – you likely don’t have to worry about tolerance unless you’re inhaling on a daily basis for at least probably a month or so. If you’re a “frequent flyer” or a daily medical consumer, though, you might want to tune into this one. Can’t I Just Quit Weed for A Week to Get Rid of My Tolerance? Of course, going cold turkey and giving up cannabis entirely for a given amount of time is a decent enough way to break the effects of withdrawal. Most people, even highly frequent users that smoke a gram or more of flower each day, will notice a substantial decrease in tolerance if they put the bowl away for a week or so at a time. And what about medical users? They certainly rely on cannabis every single day of their lives for serious conditions like pain, anxiety, and depression, and thus can’t necessarily afford to quit cold turkey for extended periods of time, even if they wanted to. So how is one supposed to be able to maintain a low tolerance and reap all of the medical and therapeutic benefits of cannabis, while still using the herb multiple times a day? As it turns out, it appears that the answer comes down to cannabinoid profiles and understanding how each unique strain effects you on a molecular level. Once you have a basic understanding of this, you can then switch strains at opportune moments to dramatically affect the activity of your body’s internal cannabinoid receptors. 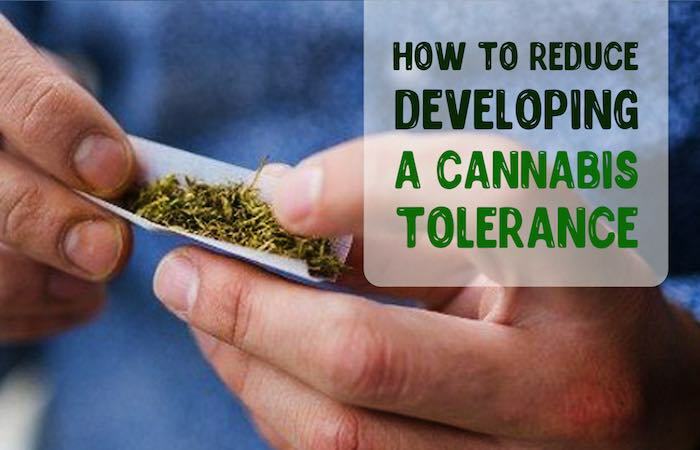 Targeting key receptors and knowing when to swap out one strain for another is absolutely vital in terms of avoiding the dreaded inevitability of tolerance. For all of the praise that CBD gets in terms of offering therapeutic health benefits, it pays to remember the fact that THC itself is no slouch in terms of its medical potential; in fact, both of the active cannabinoids are known to offer similar benefits in terms of pain relief, appetite, and cognitive function (anxiety, depression, etc). That being said, being able to routinely switch between THC-dominant and CBD-dominant cannabis strains may be your only hope if you wish to avoid developing a hefty marijuana tolerance. And the reason for this? It lies in the way that each cannabinoid interacts with the body’s endocannabinoid system. When THC enters the system, for example, it’s known that the molecules interact primarily with CB-1 receptors in the central nervous system. These receptors are highly specific to the actual form/shape of THC, which binds itself to physical sites on the receptor’s surface in order to carry out its function. The only problem is that, after time, the endocannabinoid system becomes “ready” for the THC overload, and thus makes less of the CB-1 receptors available. You see, as wonderful as it is to get high, it’s actually not a “normal” situation for the body to be in. Our bodies are always actively working to maintain a level of internal continuity (called homeostasis), so when we do things like overload the central nervous system with high levels of THC, what we’re actually doing is forcing the brain to take measures to reduce the compound’s psychoactive effects. In other words, as much as “we” enjoy being high, our central nervous system doesn’t – it registers the high as a deviance away from homeostasis, and it implements active measures in order to return to back to homeostasis. CBD works differently. Very differently, in fact. Instead of binding to physical sites on endocannabinoid receptors, it actually works by stimulating the production and release of “new” endocannabinoids in the body. In a way, this is almost opposite to the way that THC works. As you can see, then, these two compounds are actually complementary to one another: when we overload the CNS with too much THC, we can switch to a CBD-dominant strain, which promotes the release of new CB receptors. Once the endocannabinoid system is “re-energized” with a fresh new load of receptors, we can then switch back to a THC strain and have a very efficient response to it. How Do We Know When to Switch From THC to CBD-dominant strains? Like the old Kenny Rogers song goes, we gotta “know when to hold ‘em, and know when to fold ‘em?” Unfortunately, though, this isn’t poker – with cannabis use, it’s slightly more complicated. In general, the age old question is “how do we know when to switch from a THC-dominant strain to a CBD-dominant strain … or vice-versa?” And for that matter, how do we know how long or how much to use of each? Simply put, there are no definitive answers to either one of these questions. Cycling between THC and CBD is a highly personal and individualistic process, and you really have to listen to your body and be keen on the changes and effects that are taking place within. For example, it may take one person four or six months to become tolerant to a certain THC-dominant strain, while it might take another person only two weeks to develop a tolerance to the same strain. This all comes down to individual biochemistry – we all respond differently to the use of substances, and we need to be able to listen to our bodies and respond to the changes that it’s asking for. In a nutshell, though, you’ll want to try and detect the specific moment that you start becoming tolerant to a particular strain. As soon as you notice it taking more and more weed to produce the same effects, that’s the moment that you want to switch to the “other” cannabinoid (i.e. from a THC-dominant strain to a CBD-dominant strain, or vice-versa). How Do I Know Whether My Weed is THC or CBD-Dominant? This is a good question, and unless you are buying your cannabis from a dispensary that prints the cannabinoid profiles out, you probably won’t know. (And we can bet that your “supplier” sure as hell isn’t going to know). That being said though, the majority of cannabis that you buy on the “street” will likely be a THC-dominant variety. If you have access to a dispensary though (either medical or recreational), it is incredibly easy to find and pick between THC and CBD-dominant strains. For instance, you can medicate with a THC-dominant variety like Sour Diesel, which has upwards of 20% THC and less than 1% CBD, and then switch to a CBD-dominant strain like ACDC, which can have up to 24% CBD and less than 1% of CBD. Of course, though, you certainly don’t have to make your switch this radical or drastic. Often, just a small shift in cannabinoid dominance will be enough to alter your endocannabinoid biochemistry to the point that you lower tolerance. 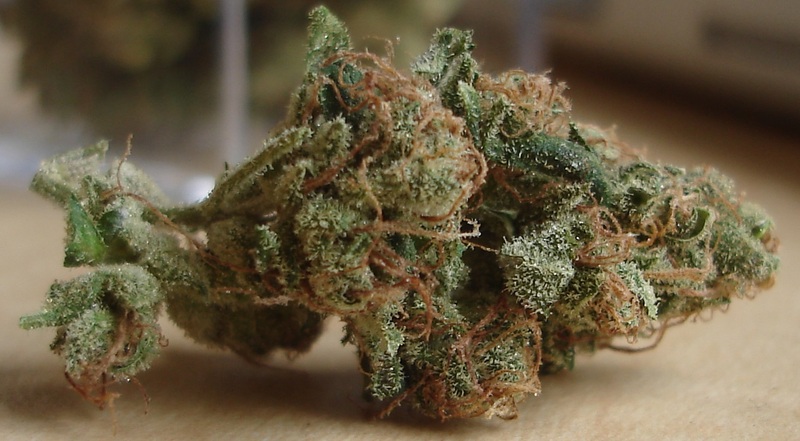 For example, many people will switch from something like a 17% THC/4% CBD, to a 12% CBD/7% THC, and have great results. Again, it all comes down to your individual biochemistry, and being able to listen to your body and respond accordingly. Naturally, this comes with a great deal of time, patience, and singular focus. And lastly, it’s incredibly important to mention that none of this should be taken as medical advice, or even as general recommendations. You need to keep in mind that the cannabis industry is still in its “medical infancy,” and thus there are almost no standardized guidelines with regard to dosing or cannabinoid profiling. You need to do your own research, and be aware that not everyone will have the same experiences or effects with different types of cannabis strains. Speak with a physician or healthcare professional whenever possible, and if you live in a medical state, make sure that you get set up with an official MMJ card so you’re able to take full advantage of every new developing resource.